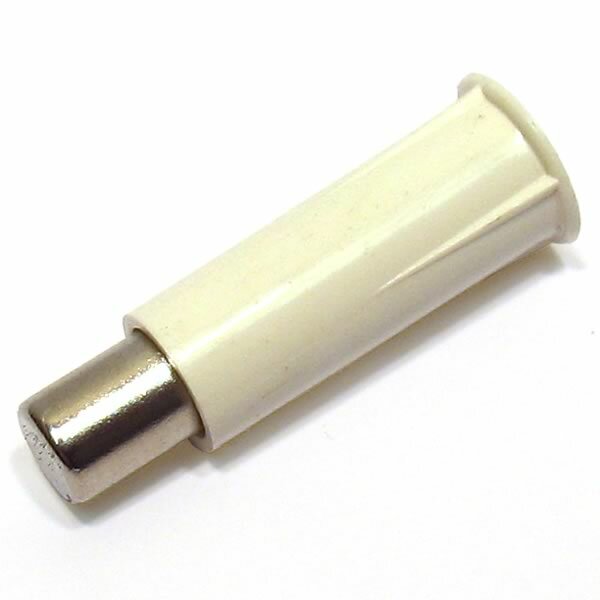 Handy attractive easy to use magnet operates all reed switches that we sell. To use with an alarm system simply drill a 0.35" hole in door, window frame, gate and tap magnet in. The reed switch is placed directly next to the head of the magnet then when door is in closed position the reed switch closes. As soon as door opens the reed switch contact opens. Magnet only - no reed switch included. Sold as package of 25.